Following yet another win for movie juggernaut, The King's Speech, at the BAFTAs last night I think a timely jewellery post is in order. Wallis Simpson, aka the Duchess of Windsor, aka the woman for whom Edward VIII abdicated his throne in 1936 (thus sending the royals into a stiff upper lipped tailspin) appears briefly and not particularly favourably. 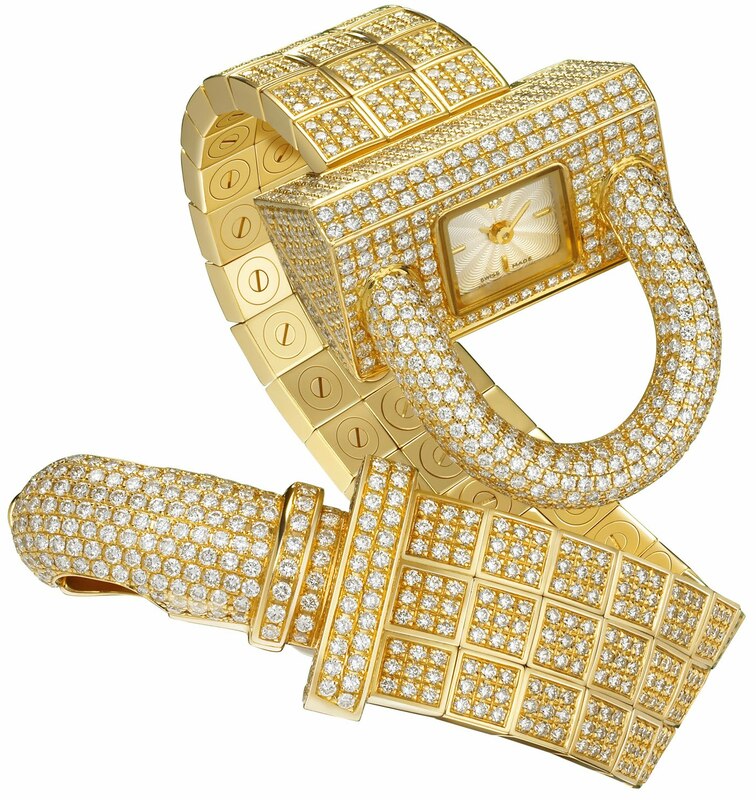 Still, whatever the American socialite’s flaws, she knew a thing or two about jewellery of the ultra-fabulous kind. Never mind her Cartier collection – 20 pieces of which were auctioned at Sotheby’s last December for a cool $12.5 million USD – it’s her links to Van Cleef and Arpels that I find more interesting. 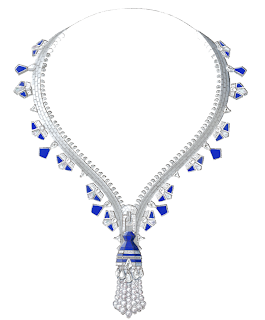 During the 1950s, at Simpson’s suggestion, Van Cleef created the now iconic zip necklace. Worn open as a necklace or zipped up into a bracelet, the Zip consists of two gold ribbons bordered with tiny hooks that fit into one another. The Zip opens and closes as the diamond-set tassel moves the slider up and down. 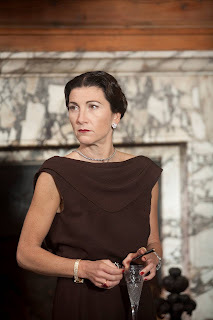 Here's actress Eve Best playing a VCandA bedecked Wallis in the movie. 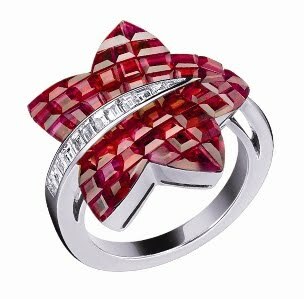 - Forêt ring, Mystery Set rubies, yellow gold and diamonds – the mystery setting was another Van Cleef creation. Stones are set on fine gold or platinum net so that no claws can be seen on the jewel’s surface. 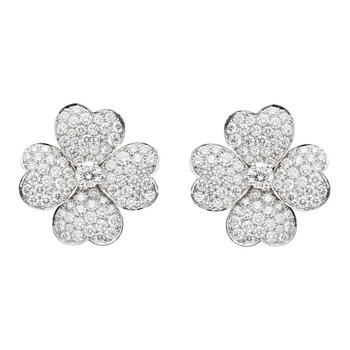 The reduced amount of metal on the finished item means the stones are showcased to maximum effect. And here’s the new look Zip. 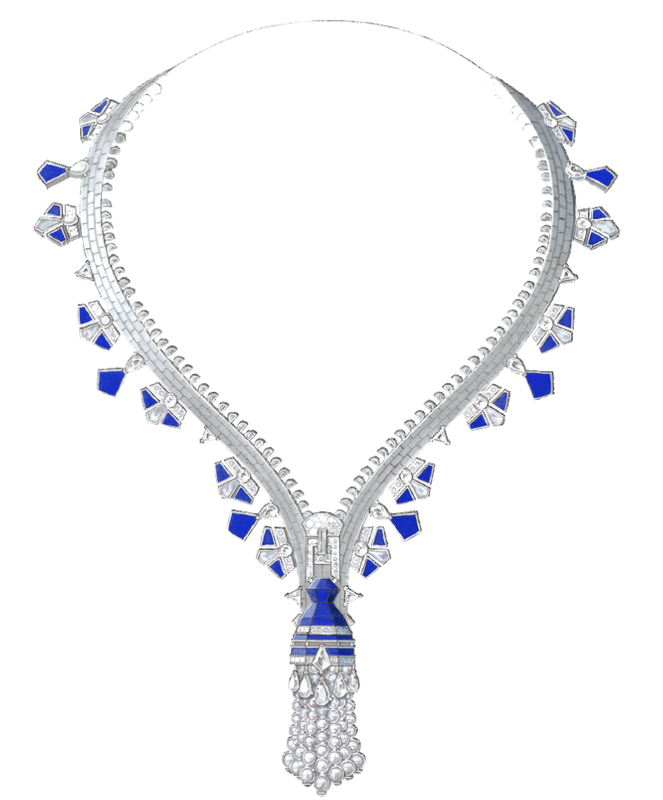 This design (one of a 4-strong collection released last month to coincide with Haute Couture Week in Paris) is made from pearls and lapis lazuli with the traditional pom pom tassel closer. 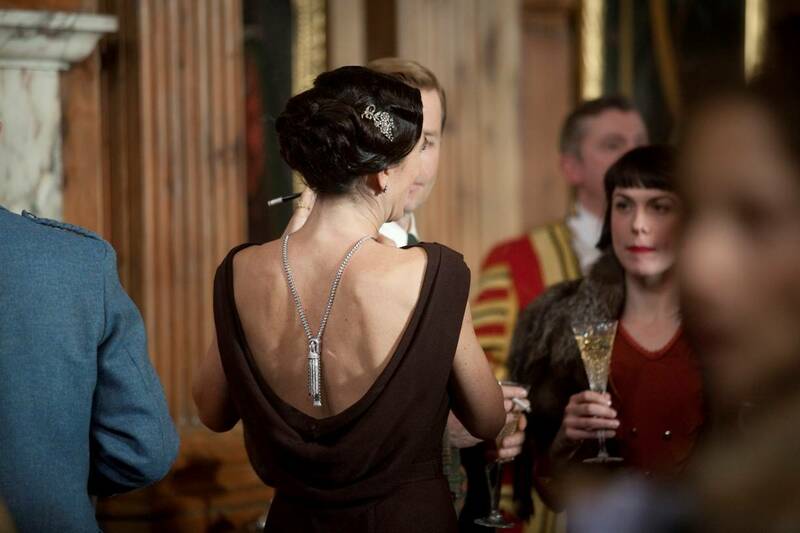 I remember seeing that necklace in the movie and loving it! It's so cool to get some more info about it - thanks! My pleasure JewelryWhore. Still loving you name! 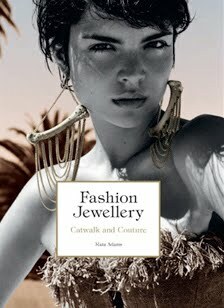 I saw the collection sold in one of the jewellery magazines it was amazing. I loved the bracelet with the stone crosses on of different sizes and colours. We are actually getting Edward the 8th/Wallis Simpson fever over on our blog http://surreydiamonds.blogspot.com/ as we got in beautiful piece of royal memorabilia, check it out!